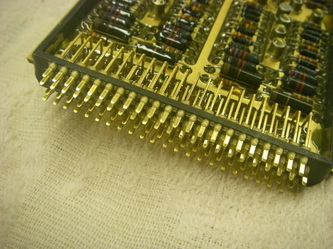 Educate yourself! Read this first. 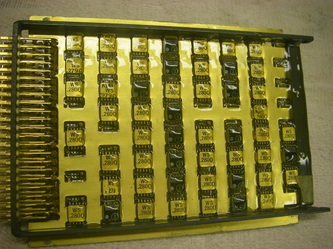 Spare 90-pin PC Cards. 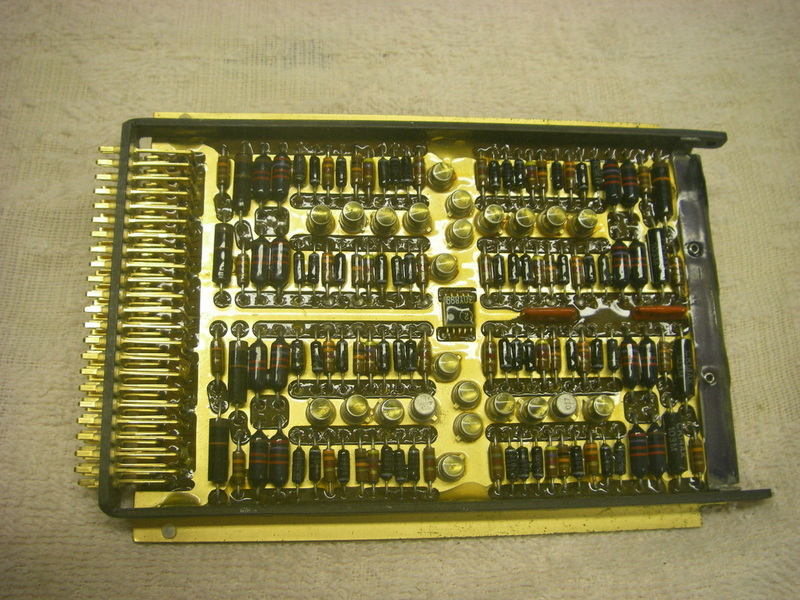 These were engineered, designed and built by Univac Defense Systems Division exclusively for the Univac 1830 (CP-823/U) Project A-NEW Engineering Prototype. 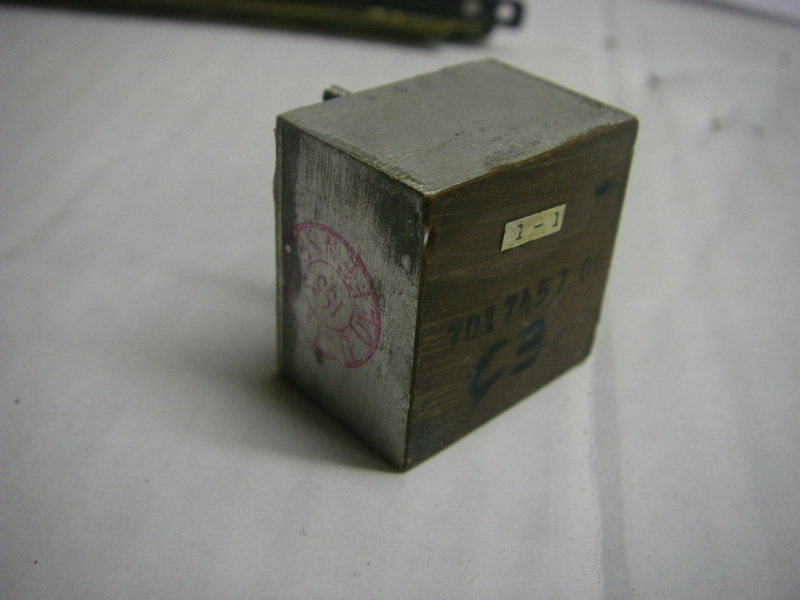 They are not new old stock; they are used and have been flown in BuNo 148276 or BuNo 148883 in 1965-1968 in actual development of the P-3C Orion, in the Processor or Airborne I/O. 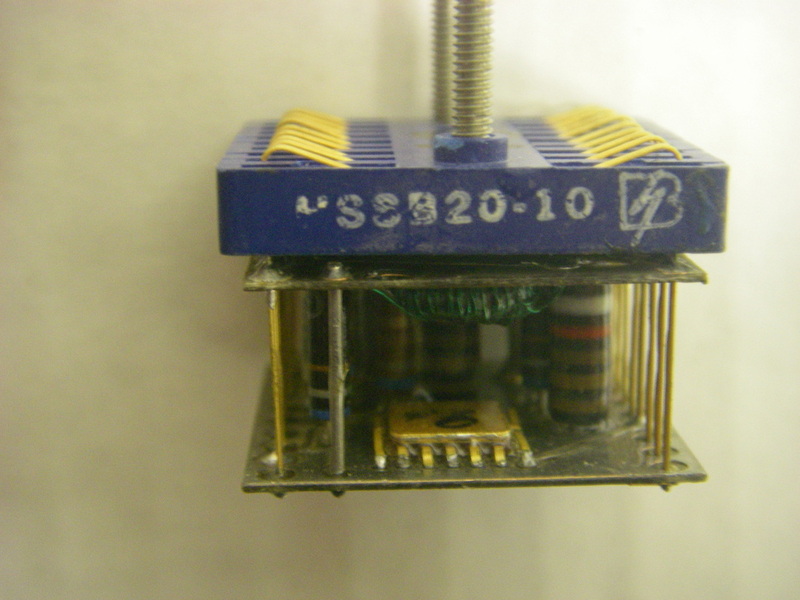 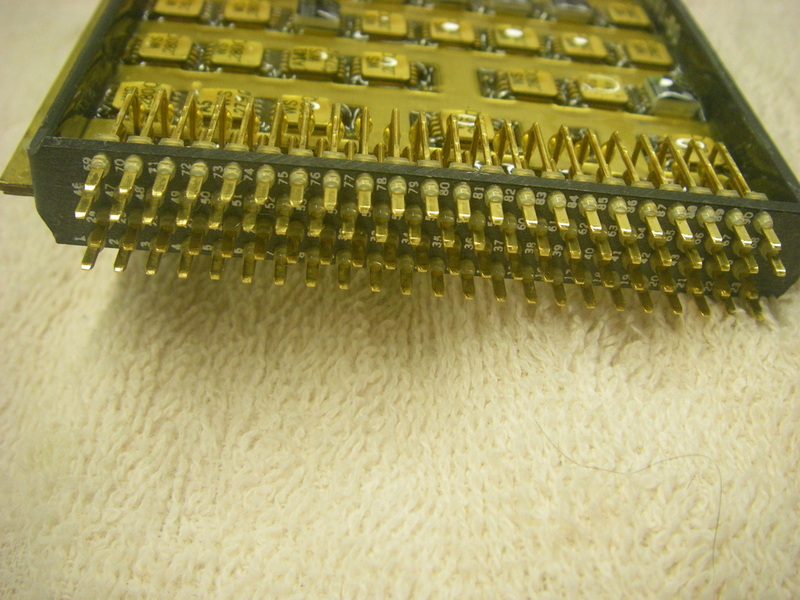 They vary with the type and amount of chips/resistors contained, depending on function used in Processor and Airborne Input/Output units. 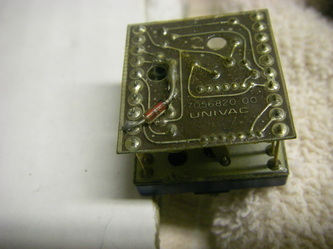 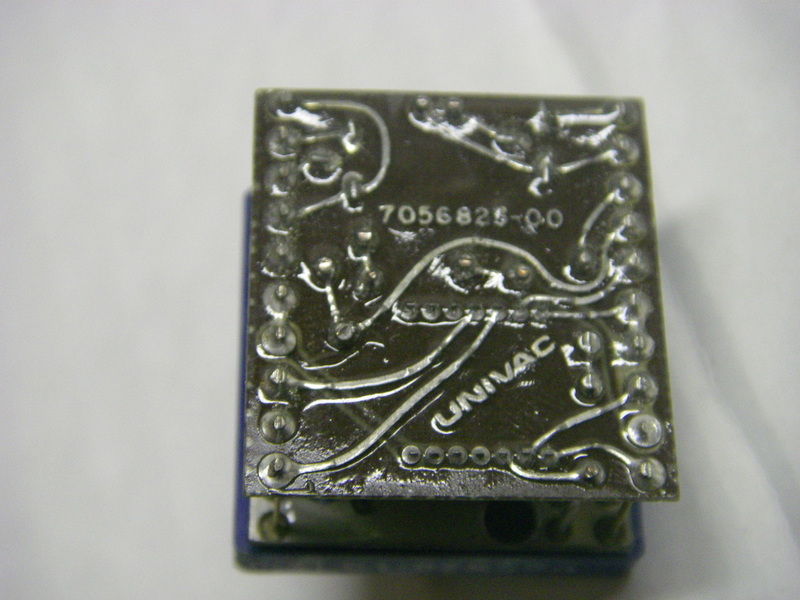 They are marked with a Univac part number on top edge. 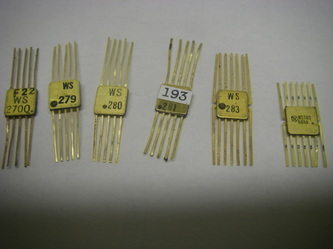 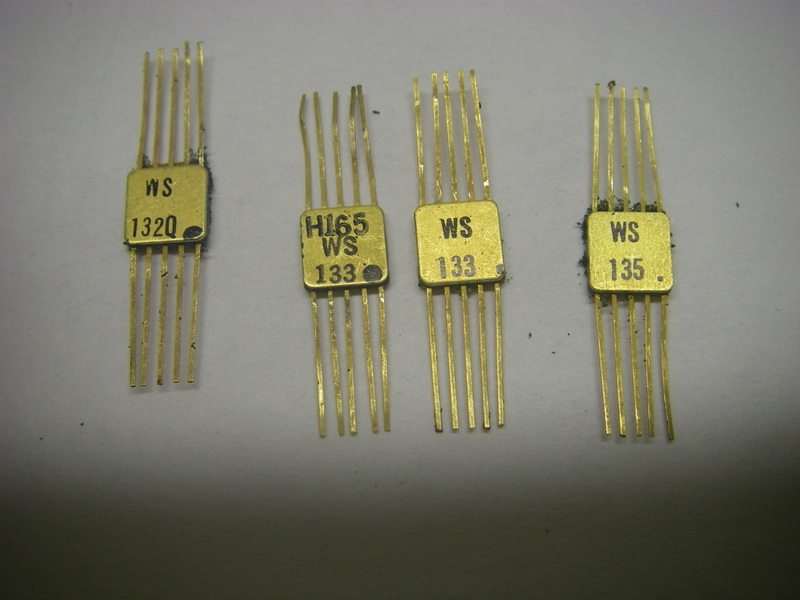 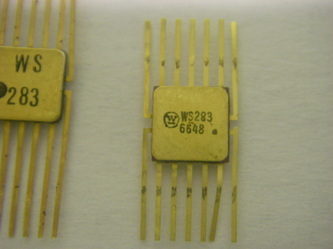 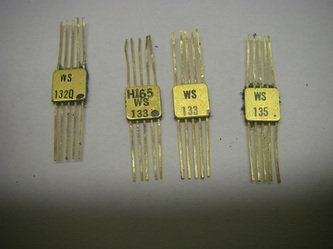 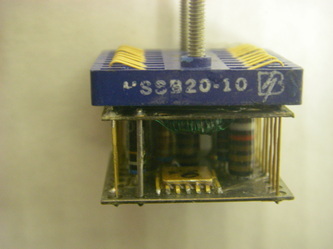 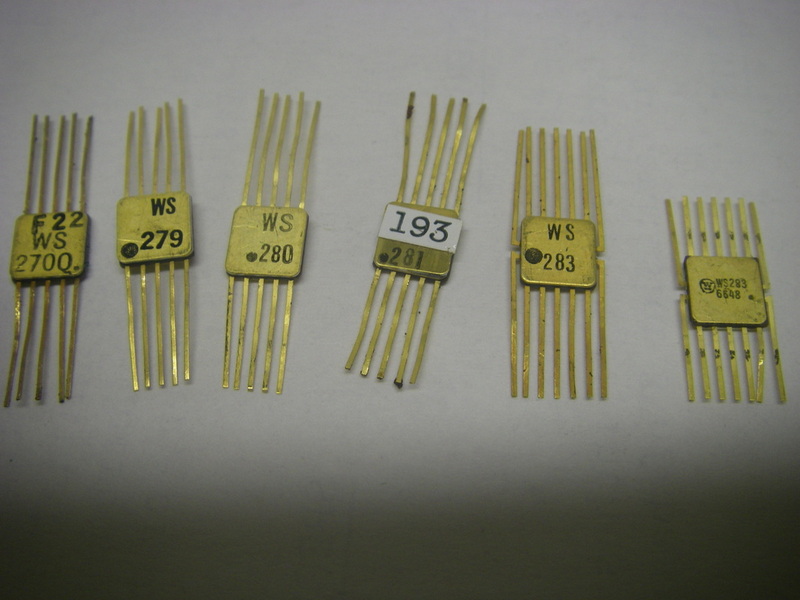 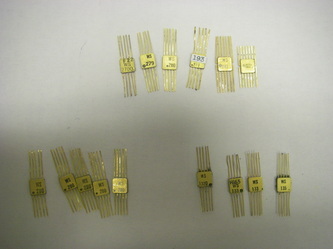 Westinghouse 10-pin Monolithic Silicon Flatpack chips. 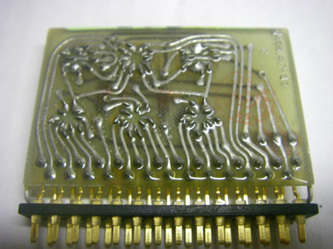 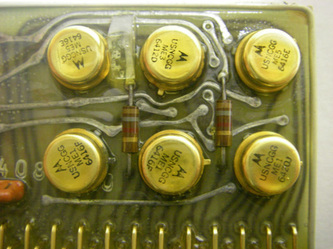 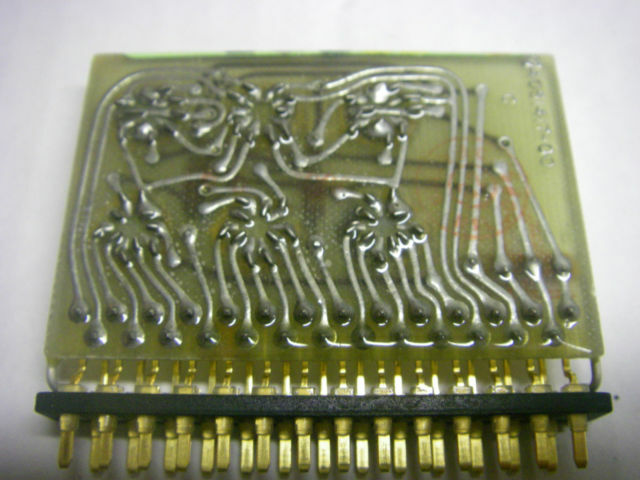 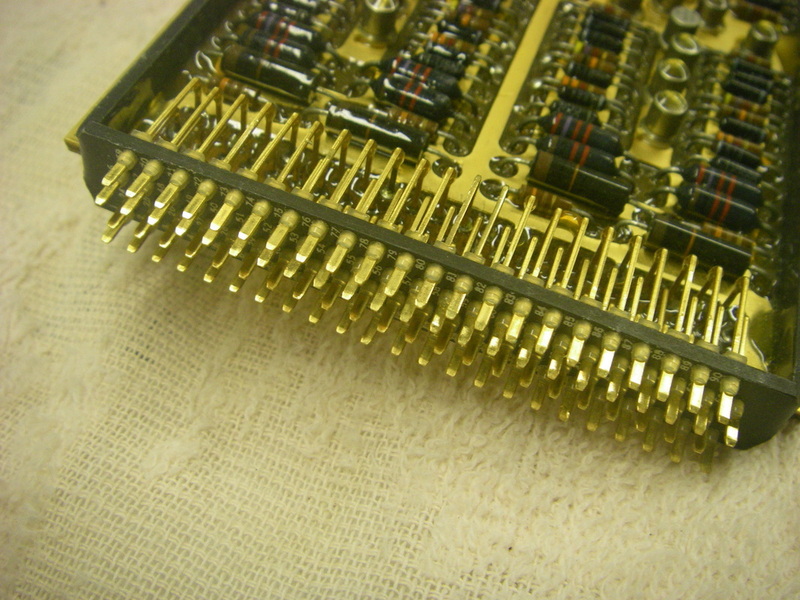 These extremely rare chips were some of the first ever made that passed the stringent testing requirements for early Avionics and Aerospace computer applications. 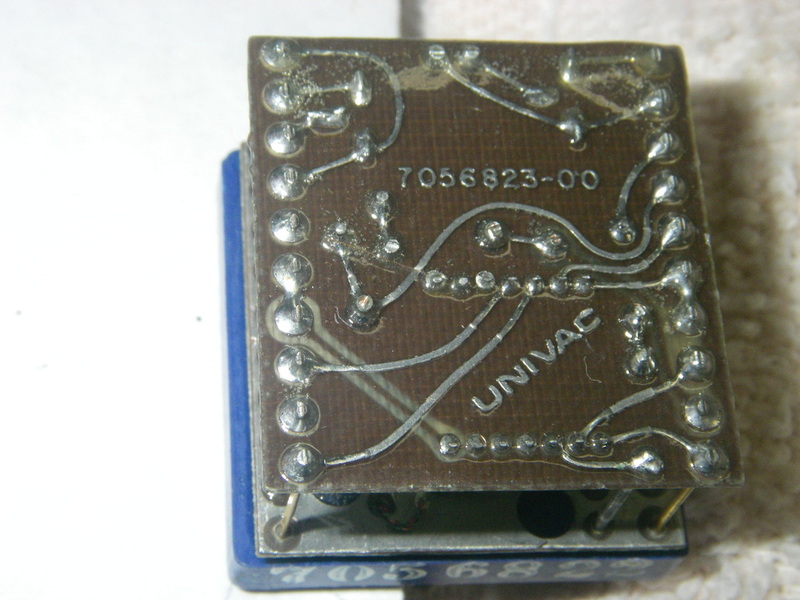 Made in very limited quantity in 1965-1967 for the Univac 1830 and 1824. 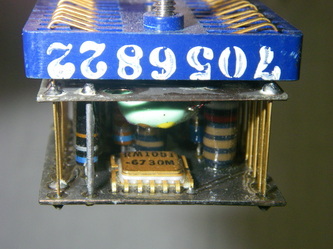 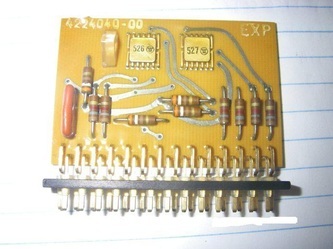 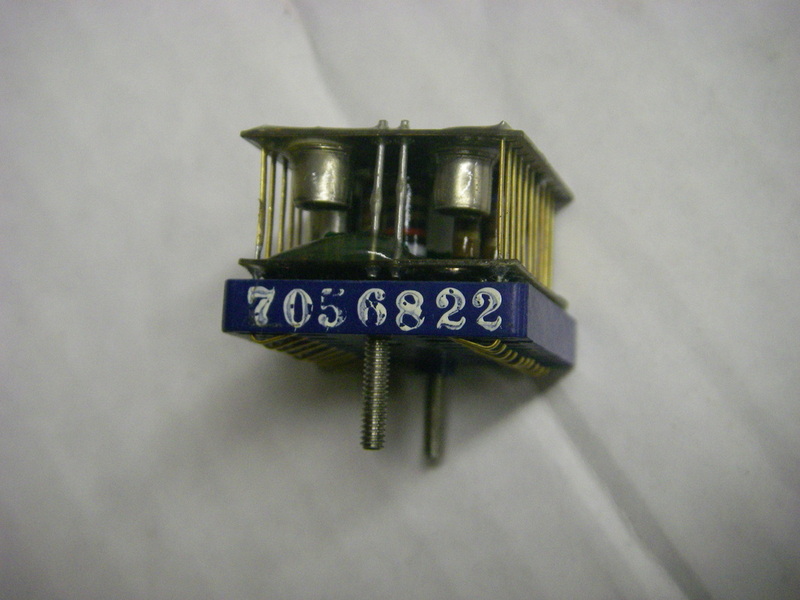 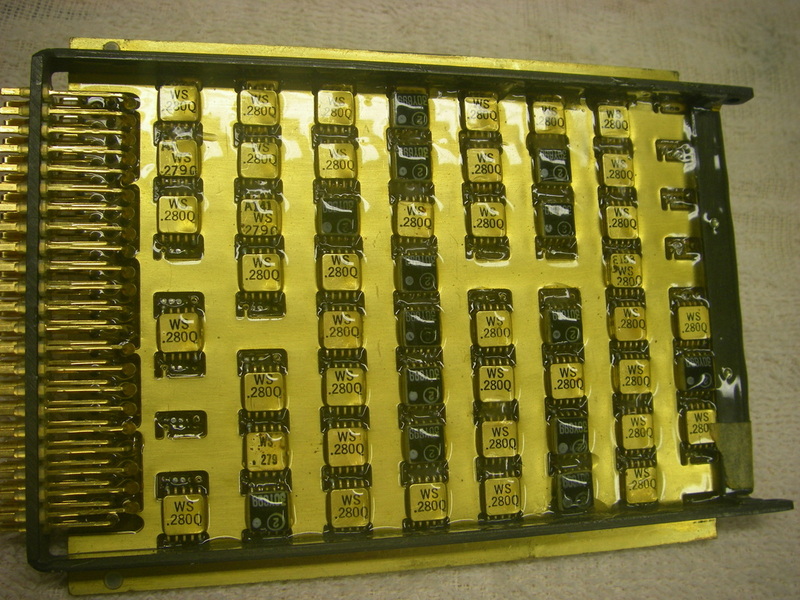 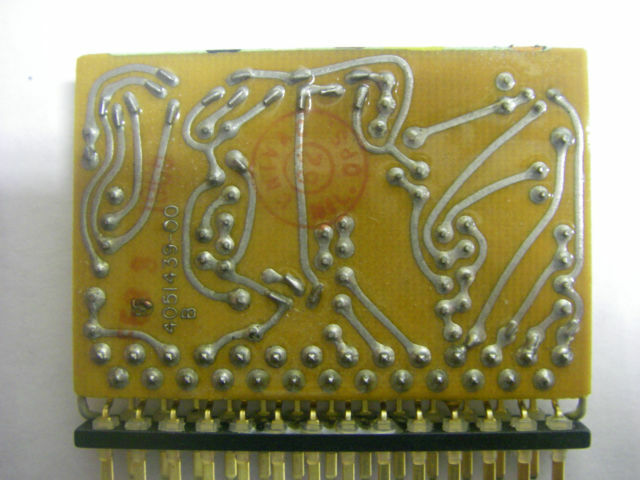 These 27-pin cards were designed for the CP-667 computer. 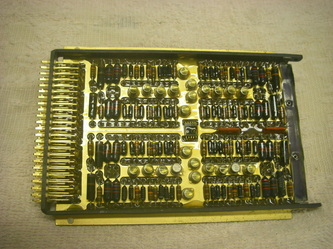 They were used in the Univac 1830, CP-823/U Ground I/O and Control Console (see pictures tab at top of pages). 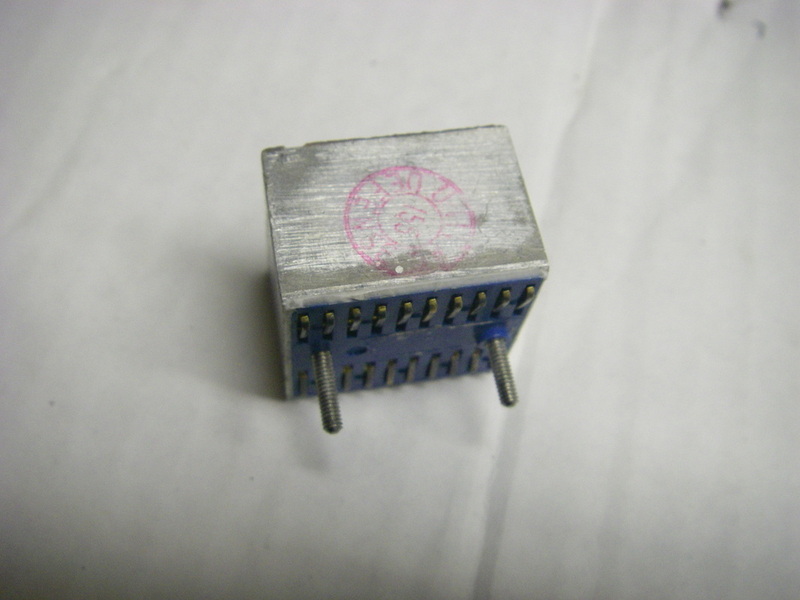 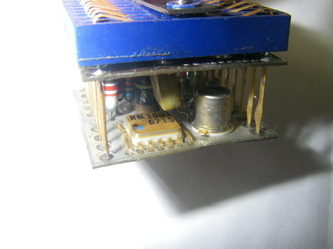 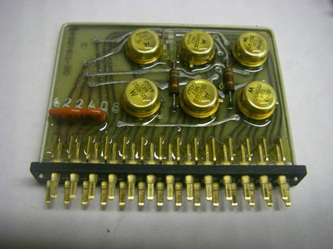 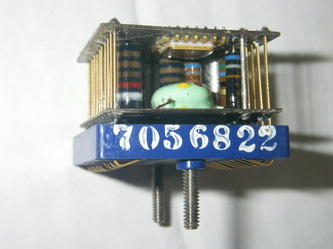 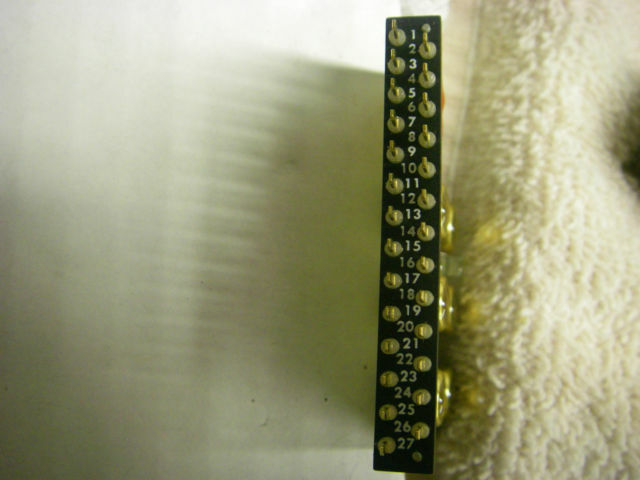 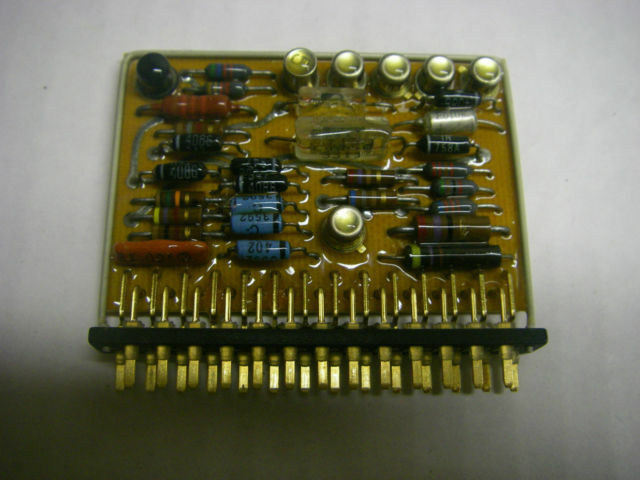 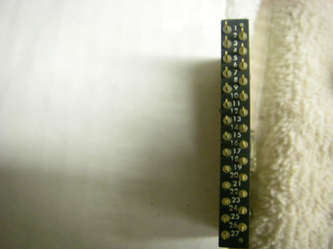 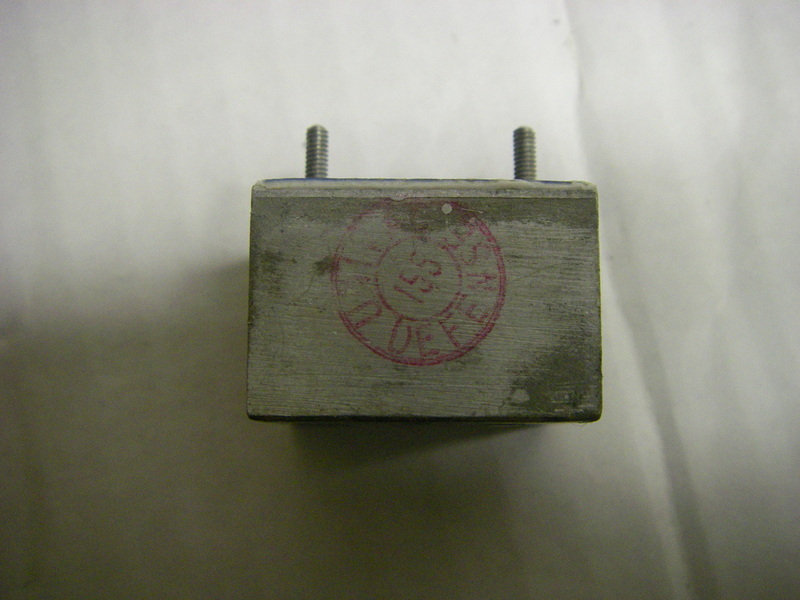 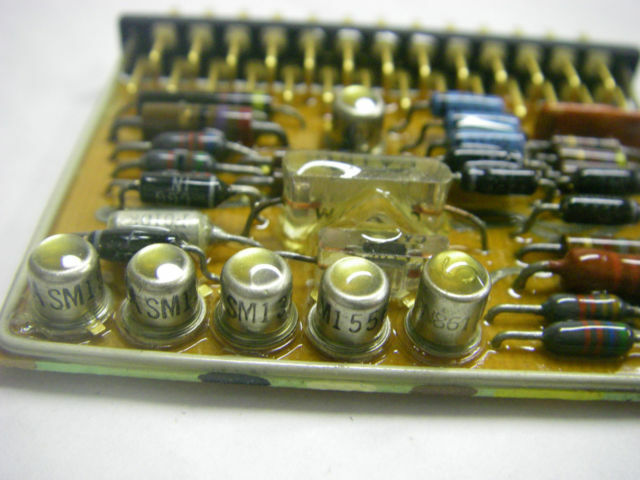 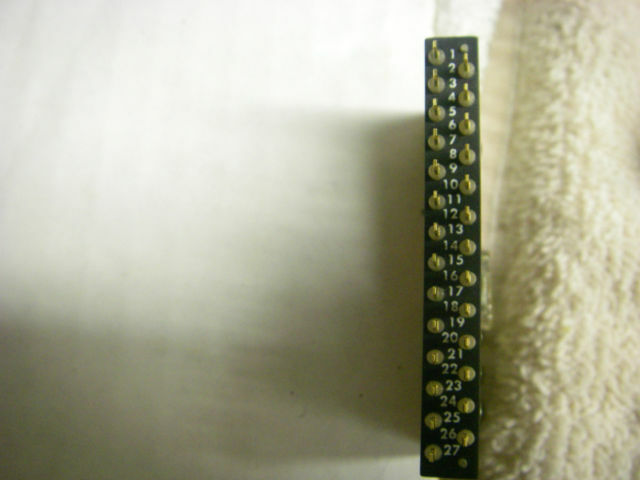 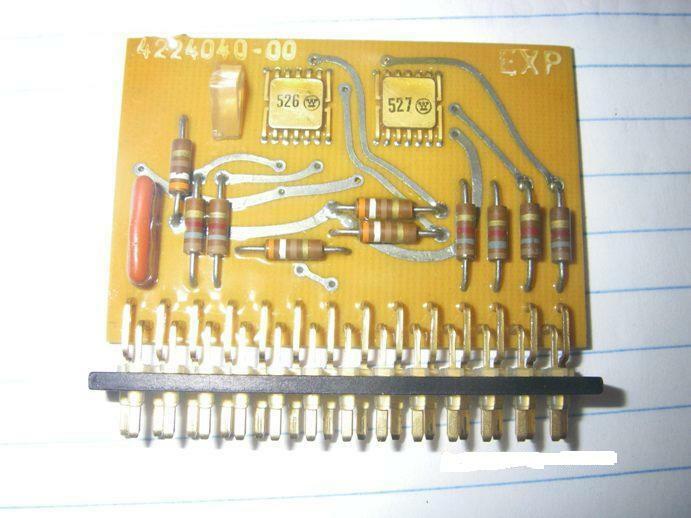 Cordwood block style electronics packs also called Burndy packs by Univac engineers. 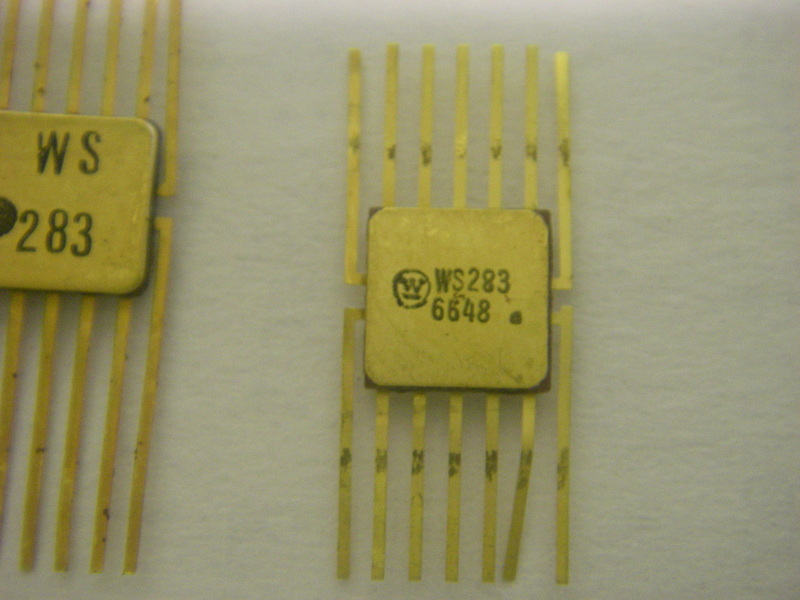 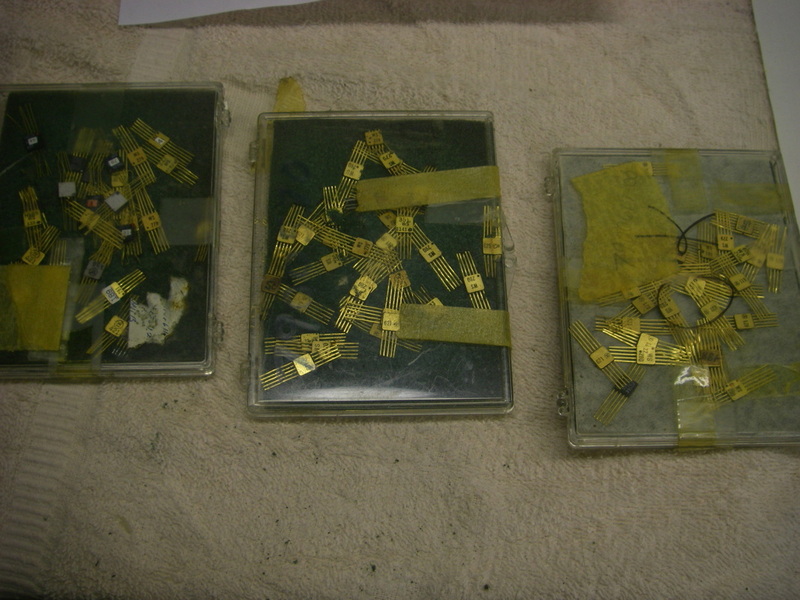 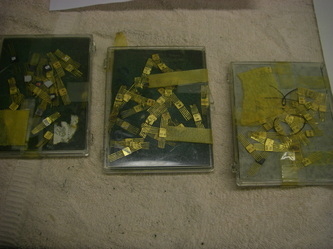 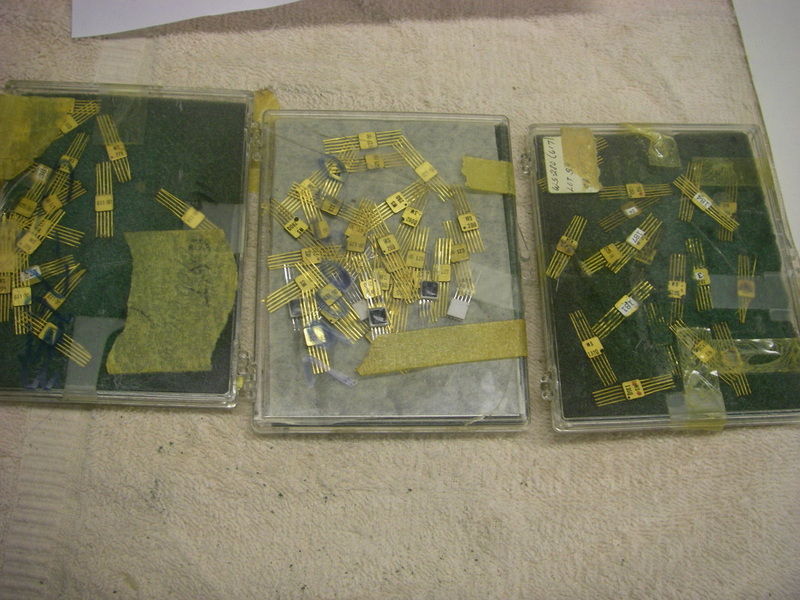 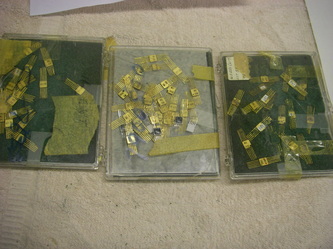 These were used extensively in the 32k Memory Unit.